"The Yards" invites you to taste corruption and to witness an imposed morality and then slyly allows you to resolve its escalating entanglements. It is a well-acted morality tale written and directed by James Gray that is as topical now as when the first bureaucrat accepted graft. 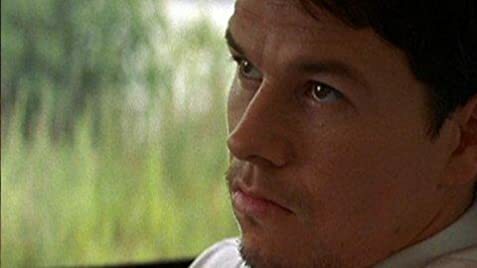 Mark Wahlberg's Leo Handler character is a loser who seeks to redeem himself from the neglect of his sick mother and the evil he has done to others. If only his friends and relatives had similarly good intentions. The world he inhabits is a society with the unwritten code of conduct to never snitch or else pay the consequences. The best scene involves Leo as he nervously proceeds with his orders to kill the policeman who can finger him in the rail yard assault. Can he justify yet one more crime in order to maintain the good graces of his benefactors? Joaquin Phoenix's character, Willie, is perhaps the most tormented figure, having to choose between his high-minded intentions and his immoral survival instincts. He becomes less the controller and more the henchman of what others tell him to do. 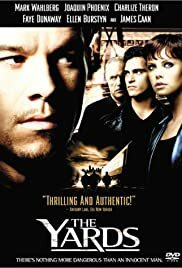 The excellent cast gives "The Yard" a true flavor of the perverse nature of favoritism from Faye Dunaway and James Caan to Ellen Burstyn and Charlize Theron (in a surprisingly youthful dark mascara look). However, Joan Allen would have added a harsher, more pessimistic visage to the sometimes inappropriately bubbly Burstyn. This film displays well how corruption commands people's lives and how hard it is to break out of that code of conduct.